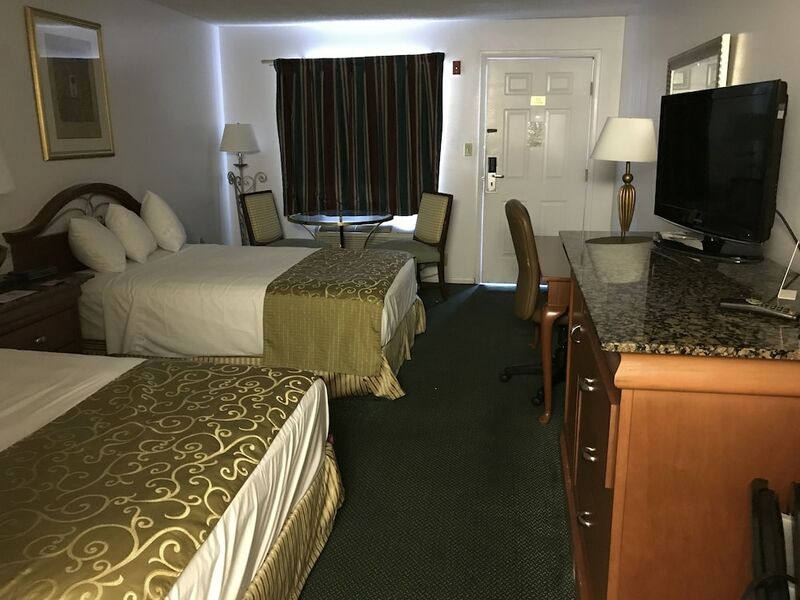 With a stay at Magic Castle Inn and Suites in Kissimmee (Disney&apos;s Maingate East), you&apos;ll be convenient to Museum of Military History and Congo River Golf. This motel is within close proximity of Capone&apos;s Dinner Show and Lake Buena Vista Factory Stores. Make yourself at home in one of the 107 air-conditioned rooms featuring refrigerators and microwaves. Complimentary wireless Internet access keeps you connected, and cable programming is available for your entertainment. Private bathrooms with separate bathtubs and showers feature deep soaking bathtubs and hair dryers. Conveniences include safes, as well as phones with free local calls. Take advantage of recreation opportunities such as an outdoor pool, or other amenities including complimentary wireless Internet access and tour/ticket assistance. Additional features at this motel include a picnic area and barbecue grills.